Did Hedge Funds Drop The Ball On Hess Corporation (HES) ? Legendary investors such as Jeffrey Talpins and Seth Klarman earn enormous amounts of money for themselves and their investors by doing in-depth research on small-cap stocks that big brokerage houses don’t publish. Small cap stocks -especially when they are screened well- can generate substantial outperformance versus a boring index fund. That’s why we analyze the activity of those elite funds in these small-cap stocks. In the following paragraphs, we analyze Hess Corporation (NYSE:HES) from the perspective of those elite funds. Hess Corporation (NYSE:HES) was in 36 hedge funds’ portfolios at the end of December. HES shareholders have witnessed a decrease in enthusiasm from smart money recently. 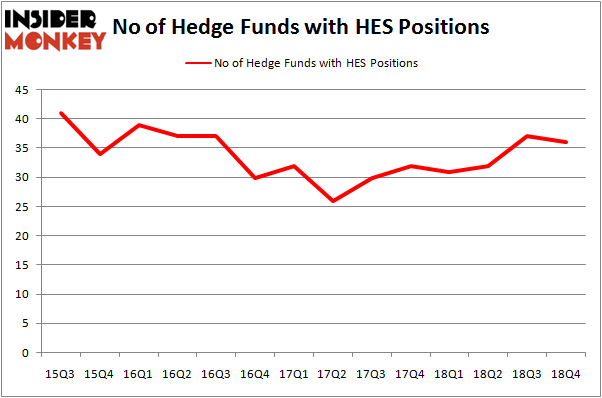 There were 37 hedge funds in our database with HES holdings at the end of the previous quarter. Our calculations also showed that HES isn’t among the 30 most popular stocks among hedge funds. In the financial world there are a large number of tools investors have at their disposal to grade stocks. A pair of the most under-the-radar tools are hedge fund and insider trading indicators. We have shown that, historically, those who follow the top picks of the best fund managers can outperform the broader indices by a solid amount. Insider Monkey’s flagship best performing hedge funds strategy returned 20.7% year to date (through March 12th) and outperformed the market even though it draws its stock picks among small-cap stocks. This strategy also outperformed the market by 32 percentage points since its inception (see the details here). That’s why we believe hedge fund sentiment is a useful indicator that investors should pay attention to. Let’s review the latest hedge fund action surrounding Hess Corporation (NYSE:HES). How have hedgies been trading Hess Corporation (NYSE:HES)? At Q4’s end, a total of 36 of the hedge funds tracked by Insider Monkey were bullish on this stock, a change of -3% from the previous quarter. On the other hand, there were a total of 31 hedge funds with a bullish position in HES a year ago. So, let’s review which hedge funds were among the top holders of the stock and which hedge funds were making big moves. 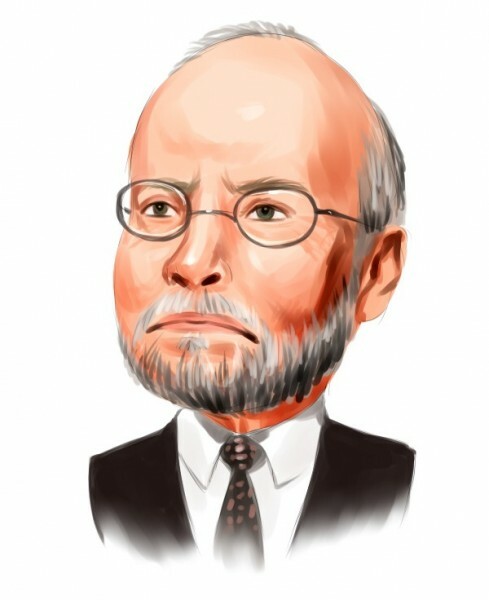 Among these funds, Elliott Management held the most valuable stake in Hess Corporation (NYSE:HES), which was worth $888.8 million at the end of the third quarter. On the second spot was Levin Capital Strategies which amassed $87.6 million worth of shares. Moreover, Renaissance Technologies, Millennium Management, and Impala Asset Management were also bullish on Hess Corporation (NYSE:HES), allocating a large percentage of their portfolios to this stock. Since Hess Corporation (NYSE:HES) has faced declining sentiment from the smart money, it’s safe to say that there were a few fund managers that slashed their entire stakes heading into Q3. It’s worth mentioning that Anand Parekh’s Alyeska Investment Group said goodbye to the largest position of the 700 funds watched by Insider Monkey, comprising about $36.8 million in stock, and Howard Marks’s Oaktree Capital Management was right behind this move, as the fund dropped about $26.8 million worth. These bearish behaviors are intriguing to say the least, as aggregate hedge fund interest was cut by 1 funds heading into Q3. Let’s now review hedge fund activity in other stocks similar to Hess Corporation (NYSE:HES). We will take a look at Xylem Inc (NYSE:XYL), Cna Financial Corporation (NYSE:CNA), Henry Schein, Inc. (NASDAQ:HSIC), and Garmin Ltd. (NASDAQ:GRMN). This group of stocks’ market values match HES’s market value. As you can see these stocks had an average of 22.25 hedge funds with bullish positions and the average amount invested in these stocks was $629 million. That figure was $1322 million in HES’s case. Garmin Ltd. (NASDAQ:GRMN) is the most popular stock in this table. On the other hand Cna Financial Corporation (NYSE:CNA) is the least popular one with only 13 bullish hedge fund positions. Compared to these stocks Hess Corporation (NYSE:HES) is more popular among hedge funds. Considering that hedge funds are fond of this stock in relation to its market cap peers, it may be a good idea to analyze it in detail and potentially include it in your portfolio. Our calculations showed that top 15 most popular stocks among hedge funds returned 19.7% through March 15th and outperformed the S&P 500 ETF (SPY) by 6.6 percentage points. Hedge funds were also right about betting on HES as the stock returned 44.4% and outperformed the market as well. You can see the entire list of these shrewd hedge funds here.